This course applies ACCA Manual D, RS, and S principles to enhance comfort in a structure as well as providing tools and processes to mitigate duct sizing issues on existing structures. 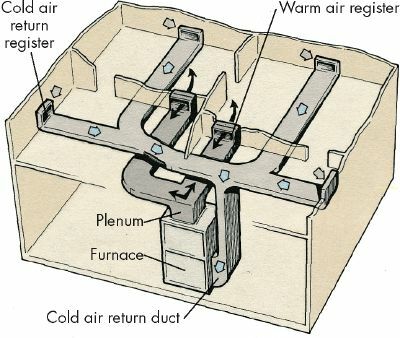 After the HVAC principles are reviewed, a duct layout on a floor plan is utilized by each person to apply the principles and size the duct system from a room-by-room load calculation using a duct calculator. An operating system is used to demonstrate static pressure restrictions associated with ECM and CT motors as compared with the manufacturer specifications. A review of the ACCA Standard 5 Quality Installation is reviewed. Review of the ACCA Standard to commission a system once it is installed. Discuss residential duct design standards and current industry issues. Demonstrate the use and application of sheet metal slide rulers. Define airflow effect on HVAC system blowers and building enclosure comfort. Demonstrate equipment selection procedures utilizing load calculation information. Utilize a room-by-room load calculation airflow to size supply registers. Size duct layout for a residential structure utilizing Manual D principles for an equal friction application.